Looking to sell or trade-in a Cisco 7500 Series Wireless LAN Controller? 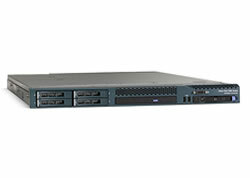 NetEquity.com provides buyback and trade-in services on used or excess Cisco Wireless LAN Controllers. If you have switched to a new wireless network platform or need to upgrade to a larger controller to expand your wireless network, simply contact our buyer agents and request a quote on your excess Cisco Aironet 7500 Series WLAN controller inventory. Cisco Flex 7500 Series Cloud Controllers are scalable branch wireless LAN controllers designed for multisite wireless deployments. Deployed in the private cloud, the Cisco Flex 7500 Series Controllers extend wireless services to distributed branch offices with centralized control that lowers the total cost of operations. The Cisco Flex 7500 Series Cloud Controller provides centralized control, management, and troubleshooting. It supports the Cisco FlexConnect solution for a lean branch network that uses access points connected to controllers in the data center over a wide area network. Data traffic from the access points is switched locally at the branch, so that in the rare event of a WAN failure at the branch, wireless clients remain connected on the network with access to local resources within the branch. Cisco Flex 7500 Series Cloud Controllers automate wireless configuration and management functions and allow network managers to have the visibility and control needed to cost-effectively manage, secure, and optimize the performance of their branch networks. NetEquity.com Buys and Sells Cisco Aironet 7500 Series Wireless LAN Controllers. If you are an equipment seller or potential buyer interested in pricing, we can help! Contact us today for a quote. Interested in Purchasing a New or Refurbished Cisco Aironet 7500 Series Wireless LAN Controller? NetEquity.com is a leading Cisco Aironet wireless reseller, and we maintain a large inventory of WLAN controllers available at competitive discount prices. 7500 Series Controller Models we Buy and Sell include the popular AIR-CT7510-300-K9 and AIR-CT7510-500-K9 models. If your company is considering upgrading from your current Cisco wireless network, contact us today for a trade-in quote on your old equipment. We also provide competitive pricing on New, Used and Refurbished Aironet 7500 Series wireless controllers. NetEquity Refurbished Cisco 7500 Series Wireless LAN Controllers are professionally remanufactured to Excellent Cosmetic Condition, fully tested by Certified Engineers and reset to Factory Default settings. Our Refurbished Cisco Wireless LAN Controllers include Rack Mounting Hardware and Power Cord, and are ready to install out of the box. In addition to offering extremely competitive pricing on Refurbished Cisco Aironet Wireless Products, we also offer a full 1-Year replacement warranty for End Users on all Refurbished Cisco products. We also maintain a very large standing inventory of the most popular Cisco Aironet Wireless models and accessories, ensuring that we have what you need IN STOCK, with no long lead times. NetEquity.com wants to buy your used, excess or end-of-life Cisco Aironet 7500 Series Wireless LAN Controllers. If you are interested in an upgrade from your current Cisco 7500 WLAN Controller, contact us today to sell, consign or trade your unwanted Cisco 7500 Series equipment.